he GMT94 Yamaha Official EWC Team and the YART Yamaha Official EWC Team are sell to resume the fight for the 2017/2018 FIM Endurance World Championship this weekend at the 41st edition of the 24 Heures Motos at Le Mans, Round 2 of the season. 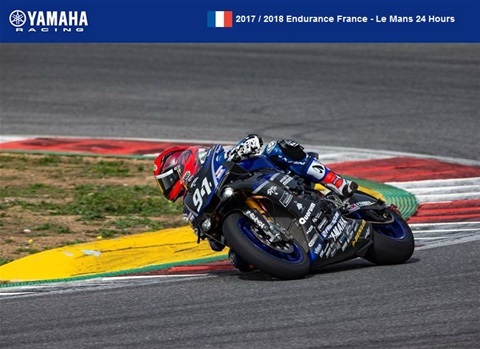 Reigning champions GMT94 lead the way in the championship standings once more after taking the maximum 60 points on offer at the Bol d'Or - the opening round of the season - in September and head to the Bugatti Circuit in France confident of continuing their impressive run of form. The YART team are looking to bounce back after a DNF at the Bol d'Or sees them enter the legendary endurance race at Le Mans with zero points, but will be buoyed by their excellent performance at the track in 2017 that saw them battle with GMT94 for the entire race before finishing in second, less than 20 seconds behind after 24 hours of racing.